"I realised that something was missing – there was no event dedicated to indie games and indie developers." The Galway Games Gathering is a games conference taking place in Galway on 16 and 17 September. We chatted to Manus Burke of Howling Hamster Games, who is the event founder and one of the key organisers of the Galway Games Gathering: “I know of a few expos in Ireland. Some are really big and mainstream. Some others did not work out that well. I realised that something was missing – there was no event dedicated to indie games and indie developers”. This is the gap that Manus and his team are trying to fill with their Gathering. The event includes an Expo of 20-25 developers of indie games, mainly working in the Galway area. “Some of them are companies, while some others are talented gamers and developers working from home”, Manus explains, “but the event will give them all the chance to get discovered and tested by the public”. Manus fully understands the perspective of indie developers. He co-founded Howling Hamster Games in 2014, having embarked on a complete career change: “I did a course on game development with Trevor [Burke, co-founder] and we decided to give this business a go”. Manus and Trevor started out in a dining room. 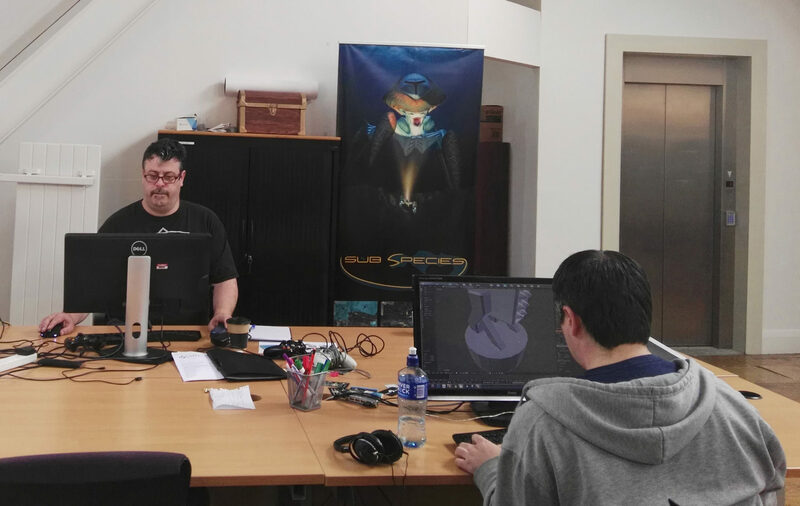 Now the company is based in GMIT’s Centre for the Creative Arts & Media (CCAM), alongside 3 other games and animation companies. “It can be very difficult to afford an office space and they can be very hard to come by”, says Manus, “we are very thankful to GMIT and particularly Head of CCAM, Dr Paddy Tobin, who has helped us find a home and has agreed to host Galway Games Gathering”. Howling Hamster Games first entered the free-to-play market: “It is very hard to be successful there. It is a hugely saturated marketplace and you are forced to compete with companies that have massive marketing budgets”. So Howling Hamster Games is now producing video games for PC, Mac and Linux for international sale and distribution via the Steam gaming platform. 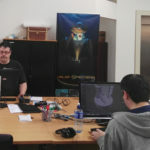 They are working on their first PC game called Sub-Species; and now the company is also the driving force behind an international games event, which strives to grow into a week-long indie festival for a diverse audience including aspiring gamers, creative people with an interest in the industry and the simply curious. “It is very important for people, especially kids who are aspiring to work in the games industry, to see how other people have done it, to chat and connect, and also hear from major industry players”, Manus explains. While access to the Expo is free of charge, the industry talks are ticketed. American game designer and developer Brenda Romero is the mastermind behind the Talks programme. The speakers come from the US, the UK, Sweden, Germany and Ireland, and will touch upon a variety of topics including music for games, game design and narrative development, illustration and concept art as applied to games, how to make money in the free-to-play market, and much more. We cannot miss the chance to get to know the ins and outs of the gaming world. See you there.